This topic contains 78 replies, has 13 voices, and was last updated by Alexander Wasberg 6 months, 3 weeks ago. I can’t take credit for the idea, since it’s been around for over 20 years, but cheers anyway 🙂 It is a nice color scheme either way! I’d love to see some of your mechs when you feel they are ready to be shown off! Those are seriously sessy mechs, man. 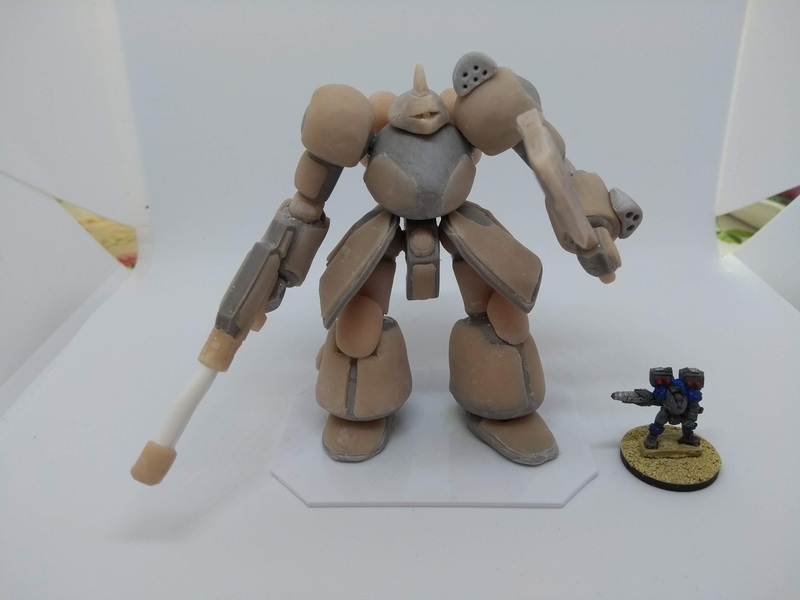 So much so that it’s making me feel really enthused about not only my 3mm scale Vanguard 40K titans, but my mecha game projects in general! Are these all for Horizon Wars? Have you considered any other game systems for them? Thanks Mr. Average! 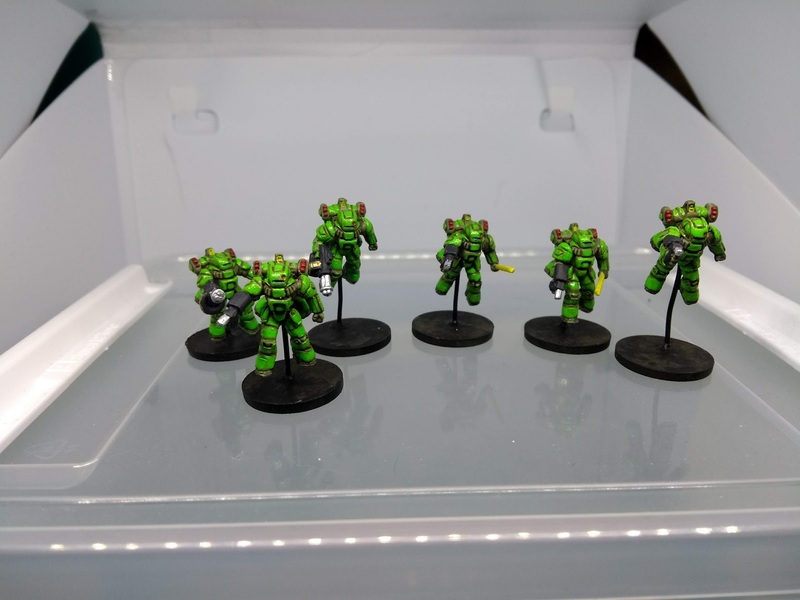 I look forward to seeing all your titans for the 3mm 40K, it’s coming along great IMHO. 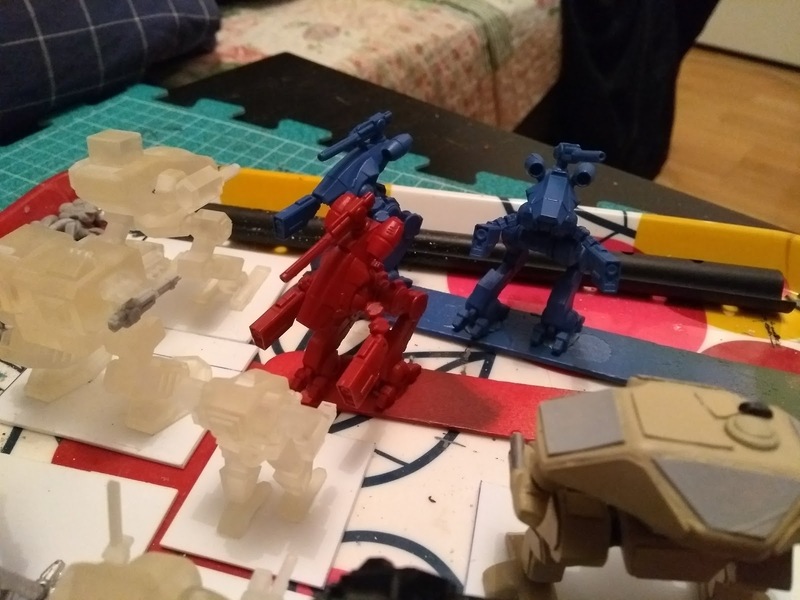 They might all feature in Horizon Wars, but the Battlemechs will be used for Alpha Strike as soon as I manage some more mechs. I’m looking at ways to use Starport Scum or other more rpg-focused rules for a more character driven set of mecha games with a few or even a single protagonist. I can’t take credit for the idea, since it’s been around for over 20 years, but cheers anyway 🙂 It is a nice color scheme either way! 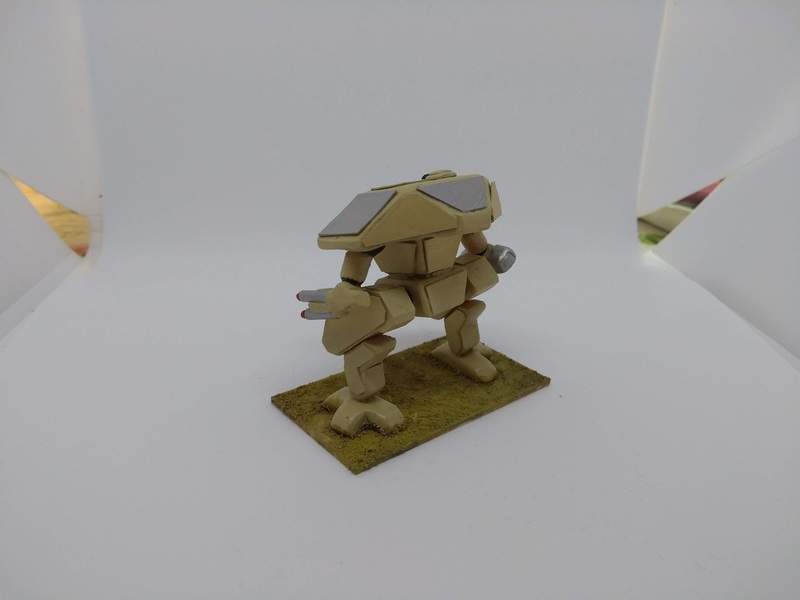 I’d love to see some of your mechs when you feel they are ready to be shown off! Well I haven’t ordered any Mecha Front yet. But I think I definitely will. The two Hawk WG walkers I have are the start and I will but adding a few more from their range. 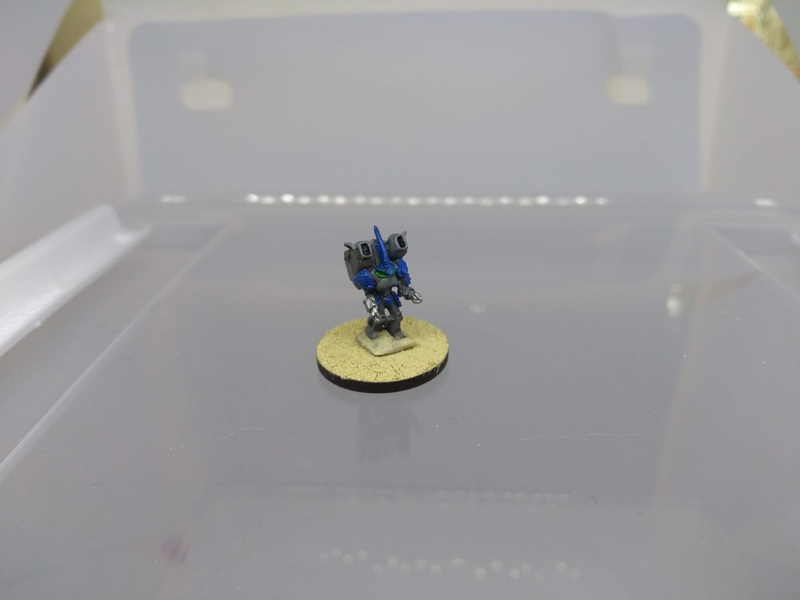 Also I’ve got some 6mm merc walkers from Brigade and looking to add a few of their 15mm range walkers with it. I’m quite interested how the two will scale up together. The 6mm being light scout and the 15mm being the heavy stuff. So yeah, I will be on to my big stompy robots project soon. Furthermore while I’m on here waffling away. I’m looking at Startport Scum. Just downloaded it and started reading through. Might incorporate it into some sort of mech game or something. I think that your mechs will be great, the ones you’ve shown certainly are! Starport Scum is great, I’ve been tinkering with using it for mech combat as well..
Got my mitts on some Mecha Front! So will be watching eagerly for any new developments on the Startport Scum/big stompy robot front. Nice, looking forward to seeing them! More stomping will be forthcoming, still working out the details and assigning mechs though, so it might be another while! 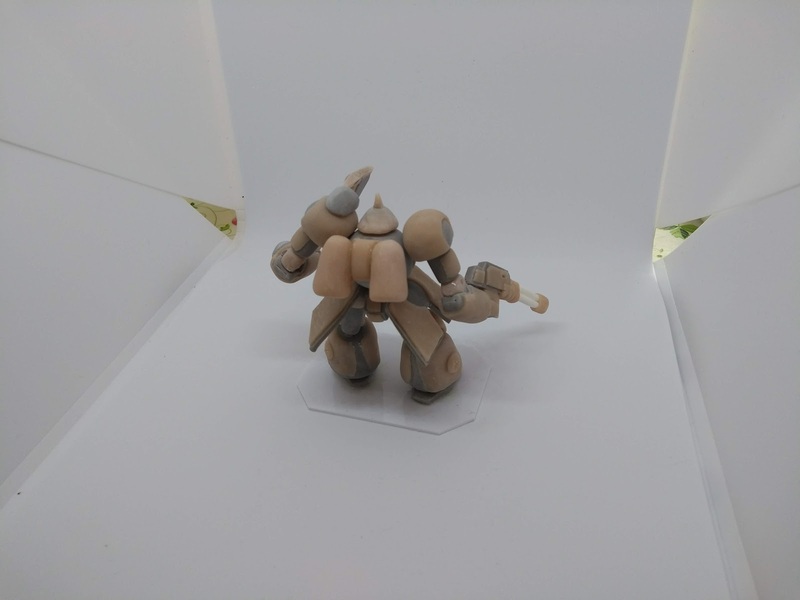 They are finally here, my first ever 3d-sculpted mechs. 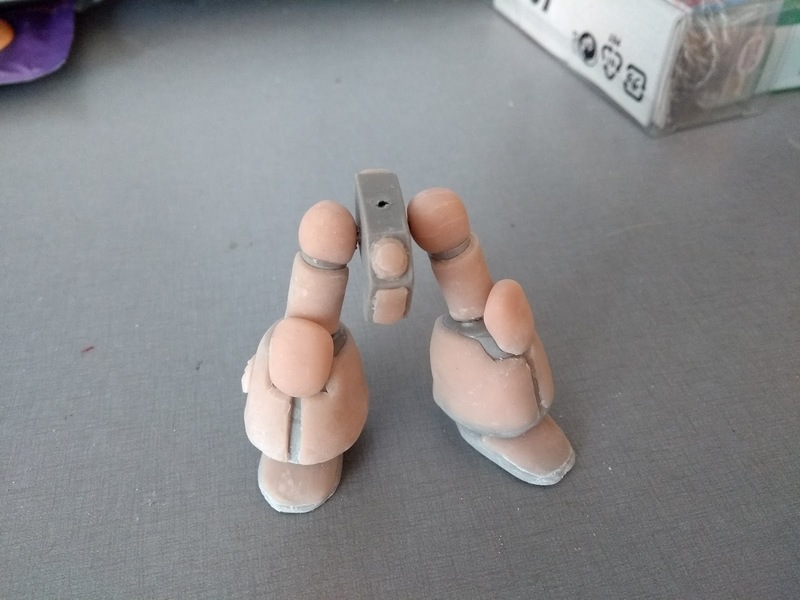 The image isn’t great and the FUD doesn’t really help the definition, but I hope to have some paint on them before long. I also received my Bullshark minis from Steel Warrior studios. These mechs are a beautiful redesign of the original BT Marauder, itself based on the Macross Glaug. 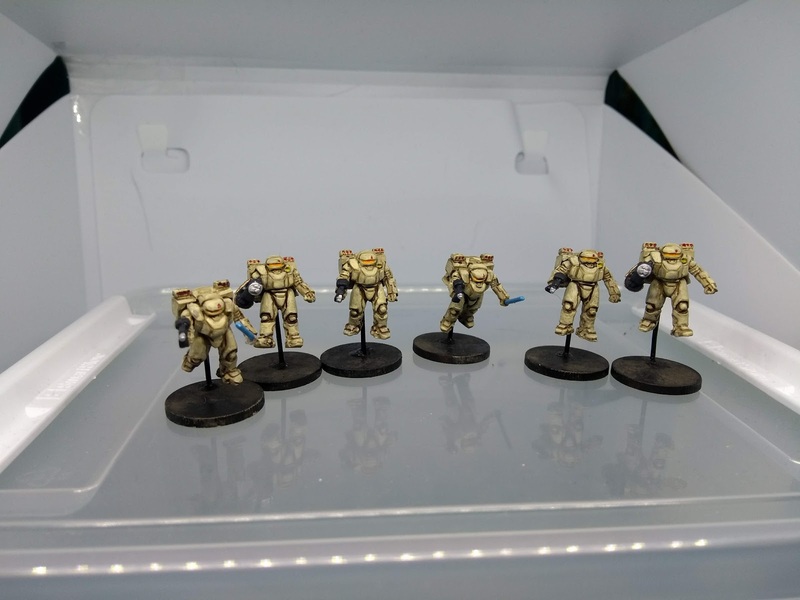 Two of them are going to join the earlier offerings as Lyran guard, with the last one either becoming a Kurita or Merc mech, as soon as I can decide on which I prefer.. So that’s that for now, hopefully it won’t take more than a few days to finish up some of these! Those WiP’s look interesting, especially the second one in from the right. Will look forward to seeing them painted. Steel Warrior Studio do some nice mechs. I particularly like the Krigeshammer, will look forward to seeing the Bullshark painted too. Cheers 🙂 I will start slapping some paint on them as soon as I finish up the first two bullsharks! As an added bonus, I finally settled on a color scheme for my mercs. 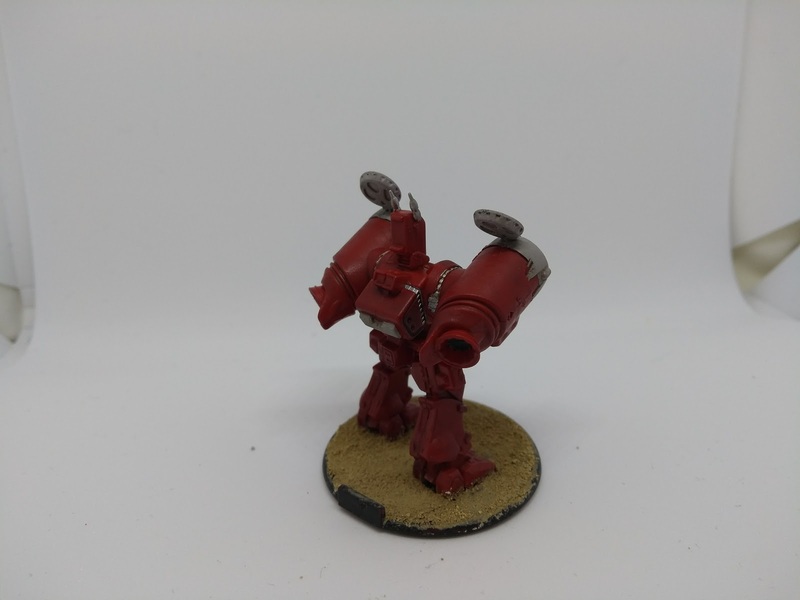 The yet unnamed merc company’s first mech. Avoiding my go-to of “grey and something” I just decided to lift one of the NIJA/Sanada megacorp colors (one of my fringe-verse factions for those who haven’t looked around this blog too much ) for my mercs. The two remaining mechs will form one half of the 2nd Lyran Guard lance, together with another heavy and possibly an assault mech. 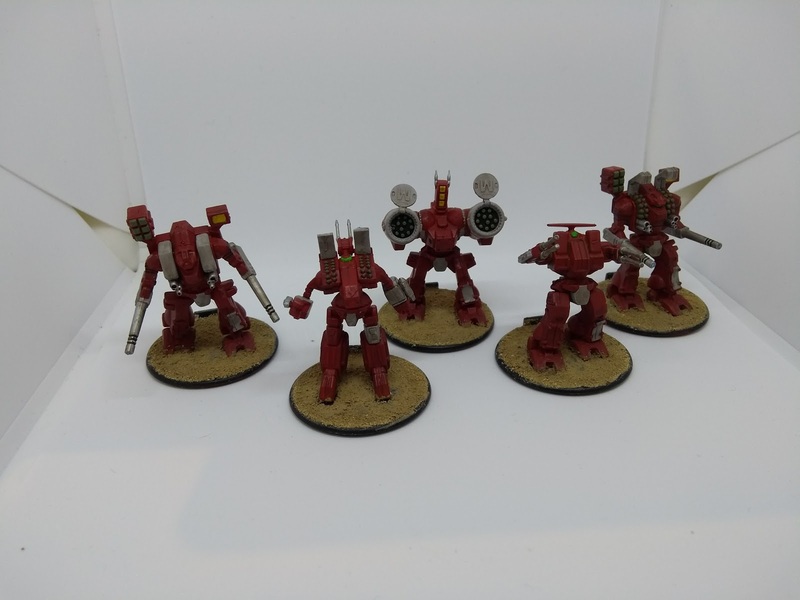 My Shapeways mechs managed to get some attention as well, all 4 being completed the following evening. A mixed bag of color schemes, but every single mech looks better with paint than before it, so that’s a win in and of itself! 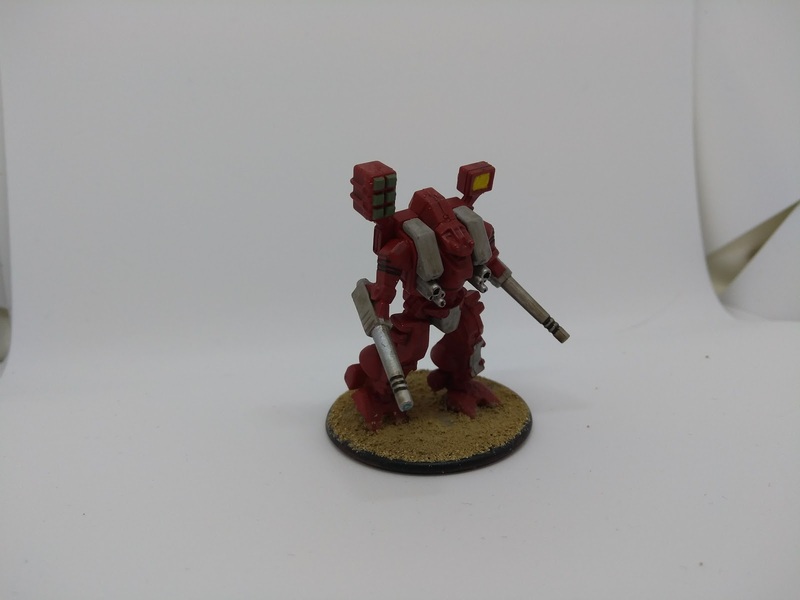 This first one was designed with mostly Battletech influences and painted to fit in with my Zephyr megacorp’s forces. Joining the same ranks as the first one with a matching paintjob, I’m a bit torn about the design of this one. Taking some inspiration from eldar Wraithlords and “battlemeching” it up, I think I might try re-designing this one at some point. Not really painted up to belong anywhere in particular, the mech I titled “Boxmonster” is really supposed to stand out and I think that it manages that job pretty good. I got the inspiration from a LEGO mech I saw online, so the neat design is only partly my doing. That being said, I’m quite pleased with this one! 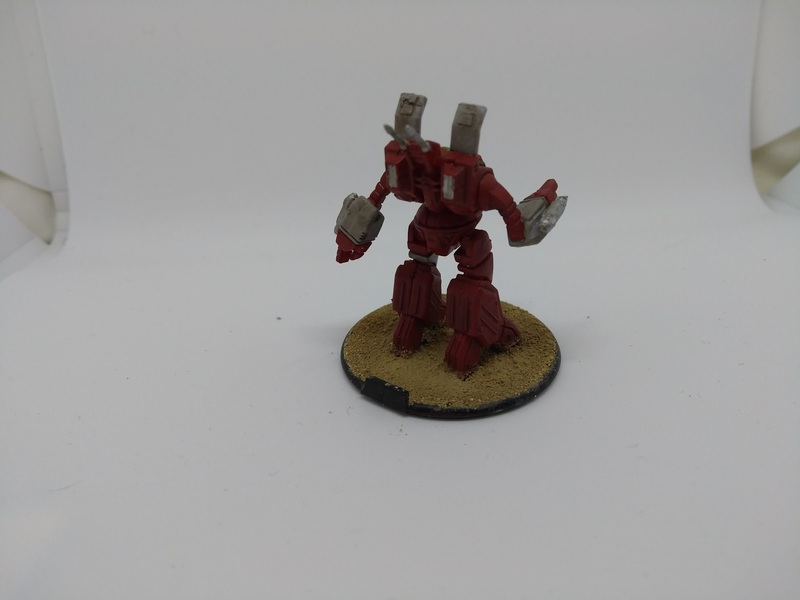 The last mech was my attempt at making a more clan-like battlemech, inspired by the Cauldron-born and similar designs. I’m not 100% happy with it, but for a first print it’s acceptable. It’s painted up to join the Warg Industries merc company. These first prints have been fun to make, it’s really cool to have something you designed on your computer as a real-life object in your hand. If I ever make any more, which is likely, it’s also been good experience and hopefully I can do better next time around! The two smoother ones in the back is just shaped with the wire cutter and then had extra grooves and details made by a knife. The two in the forground were carved out as more or less straight blocks, but then I used a heated blade not too dissimilar to a soldering iron to create the textured surface. After painting a base layer of grey on the pieces I just drybrushed it in a few stages some to give a more worn look. Looking good! Particularly like the Zephyr Megacorp colours. A sort of “go to” military main colour then a brighter secondary colour picking out various bits works quite well I’m thinking. (Just getting some inspiration from you before I settle on a colour scheme for mine). That “Boxmonster” is looking good too. Kind of feels like a remote operated weapons platform. Where the pilot sits in a control vehicle at a safe distance and sends in the “Boxmonster” to “soften things up”. Nice job on the rocks BTW. Two very different designs and quite realistic too. 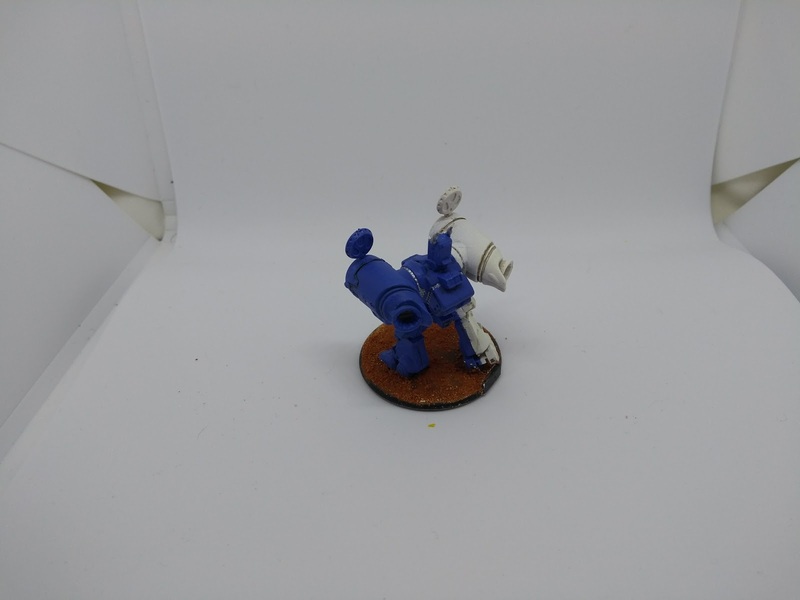 You mentioned about tinkering with Star Port Scum for the mechs on your blog? I’ll definitely interested what you come up with for that. Something I’m thinking of but have no clue on ATM. I am tinkering around a bit with Starport Scum, as I love the open-endedness of the system. So far I’ve only had the chance to run a quick test game with a pair of mechs per side, but I believe that every attempt will take me a little closer to the end goal. While there are vehicle rules for the game, they are better suited for limited apperances and as scenario objectives. So I’m trying to get the mechs ( and later on other vehicles too!) function closer to the way a character does, but with some changes to differentiate between a man in a vehicle and one on foot. Right now it looks like there will be two ways of handling mechs; One more detailed with hit locations for games centered on/exclusively containing mechs ( think Battletech and anime shows like Gundam) and one more streamlined with a single damage pool (like in the original vehicle rules from Ivan) for games with a mix of mechs/vehicles and ground troops. I’m trying to find a way to use a single attack stat like in the original ruleset, using traits to set weapons apart from each other rather than using a list of pre-made weapons with set stats. The trickiest bit so far is figuring out a good balace between attack dice and the accompanying traits vs. defence dice and traits vs. HP pool for each mech in a way so that it doesn’t turn into static slug-fests or that everything blows up as soon as it’s hit. I haven’t got the formula down just yet, but I hope that some more testing will help me find a suitable solution. I’ll let you know if I make any progress! 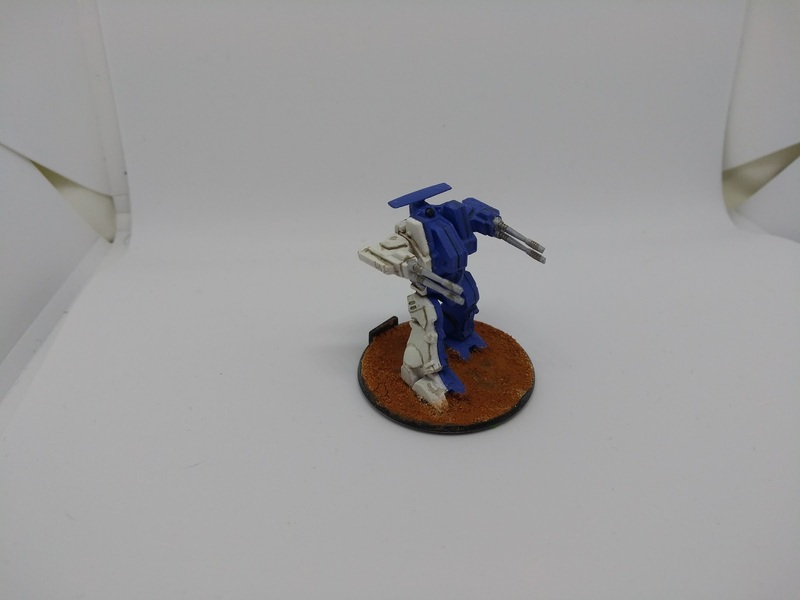 I have similar throughts on camo for mechs. For me mechs; in most cases are big and tall. 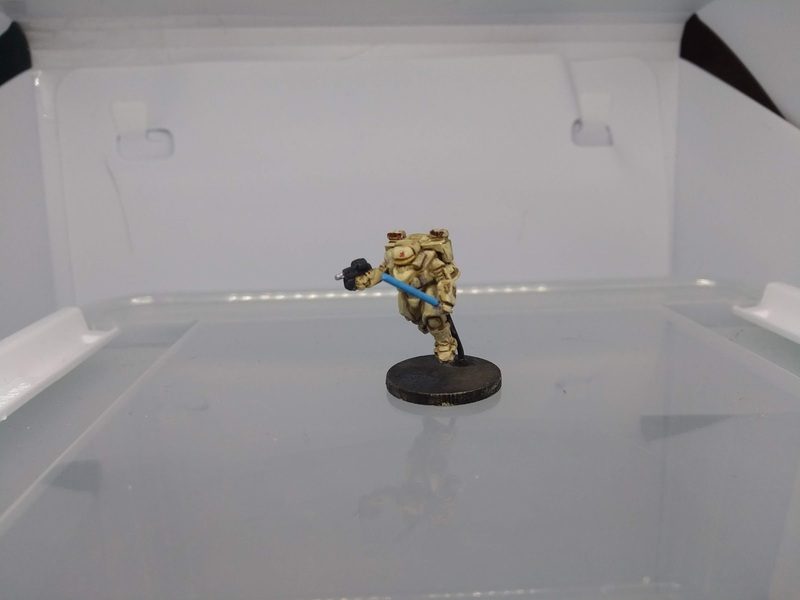 Seems pointless to me to paint a camo colour. I think mechs will have some kind of energy field/shielding and/or stealth ability. Negating the need for heavy armour plating and camo. Both “Predator” type camo and energy shielding is in development. So I’m thinking bright colours too. Using traits to set weapons apart instead of using a list of pre made weapons with set sats. That’s interesting, something I never thought of. I shall squirrel away that idea for future reference when I come to it. 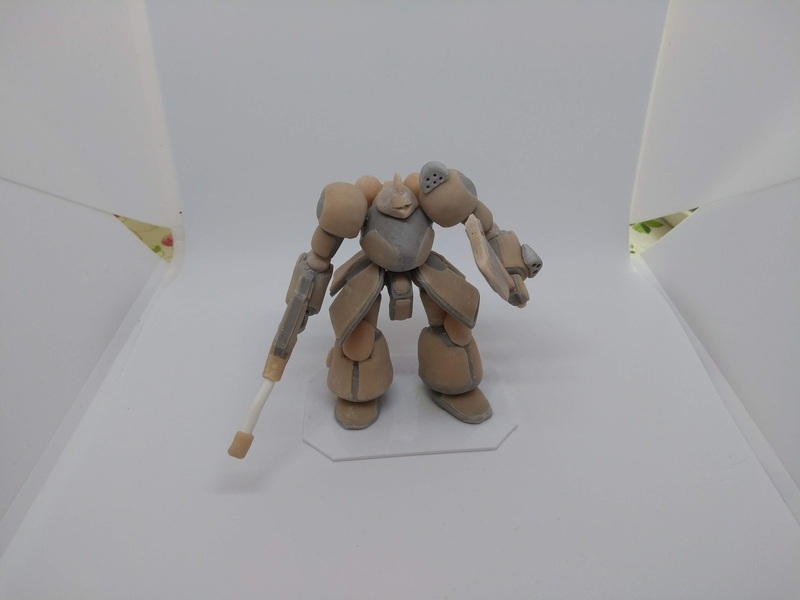 A Zeus assault mech. Amongst the heaviest of mechs, the Zeus is a 80 ton beast common in the Lyran mech units. The Hatchetman. A medium mech weighing in at 45 tonnes, it’s the first mech with a full head ejection system and one of the few with a melee weapon as a standard loadout. Last of the trio is a Wolfhound light mech. 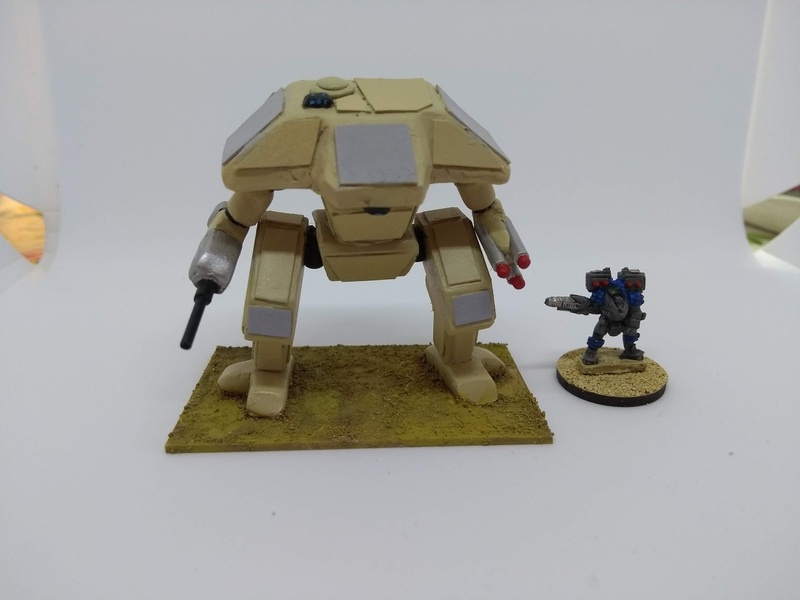 At 35 tonnes it’s lighter than all the other Guard mechs I’ve painted up so far, but it’s heavily armed for it’s size with 1 large laser and 4 medium ones. 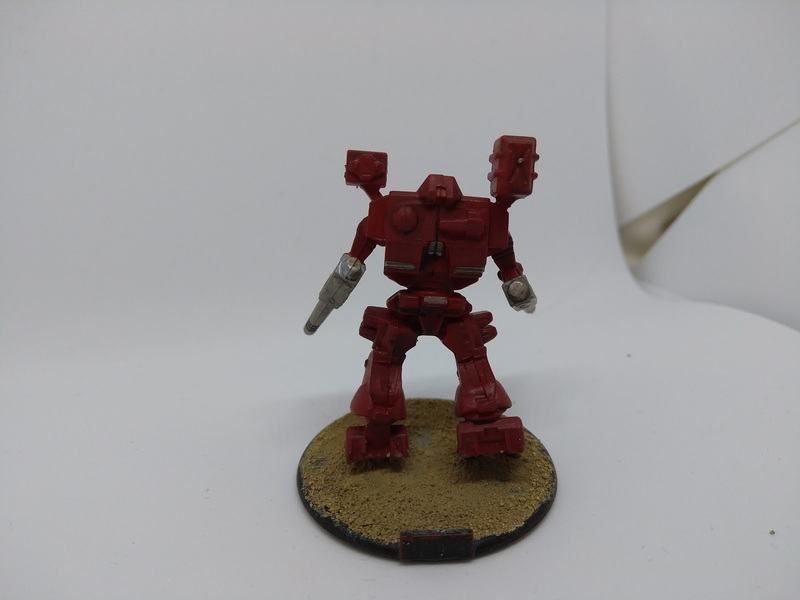 The first mech is a Centurion. This 50 tonne medium mech is a capable fighter with a varied arsenal, most feared of which is the Luxor D-Series Autocannon/10. The Banshee is a 95 tonne assault mech. Armed with a PPC, an Autocannon/5 and a small laser, its somewhat underarmed for it’s size but carries a whopping 15 tonnes of armor. A 75 tonnes Battlemech, the Orion is a well-rounded heavy mech with weapons to engage at most ranges. The lightest of the Mercenary mechs, a 35 tonne Jenner. Very fast and with a respectable amount of firepower as well as jumpjets, the Jenner is a exellent scout and raider. Finally we have another medium mech, the Clint. 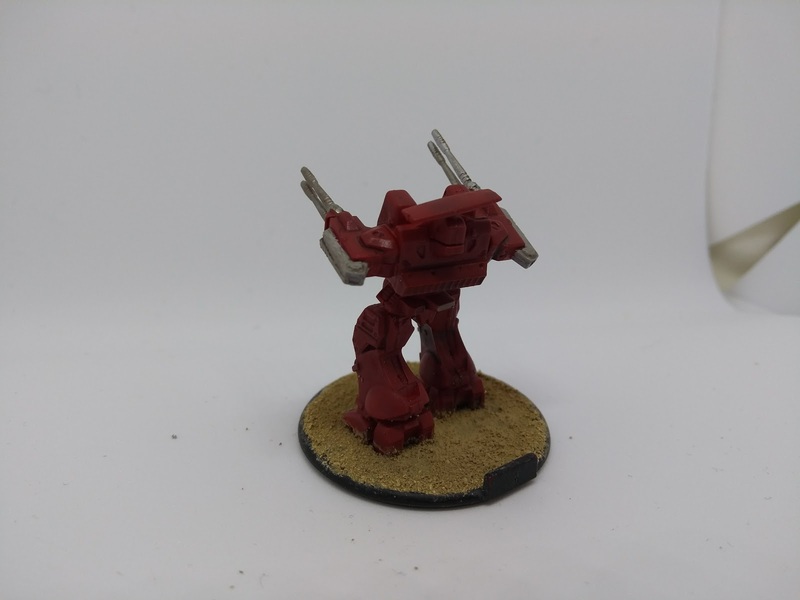 Weighing 40 tonnes and armed with both lasers and an autocannon/5, the Clint is however a bit of a technicans nightmare due to the use of lots of non-standard parts. I did manage to take a few bonus pics of the Bullsharks after I gave them a wash I had evidently forgotten about. 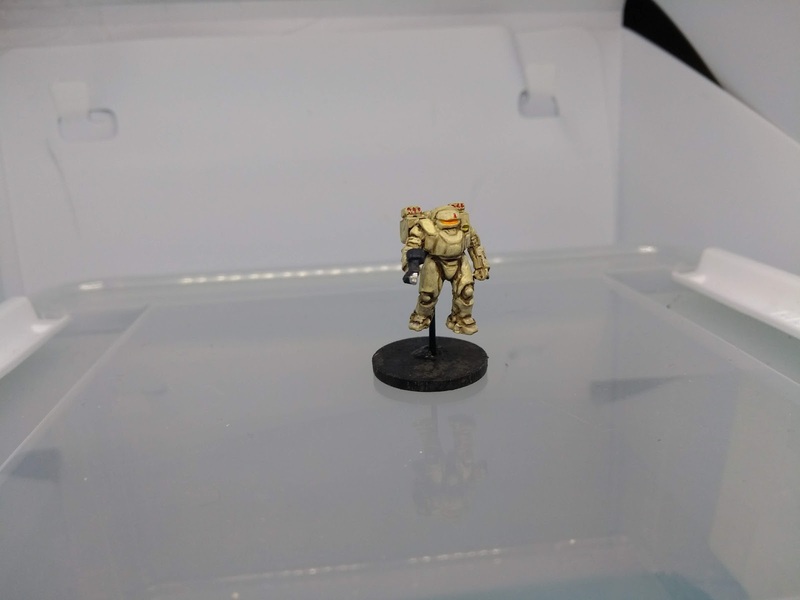 I owe thanks to the nice people over at the Battletech painting and customs group in FB for spotting that miss. I’m off to the UK next week and will be attending Salute 2018. Hopefully I’ll return with more fun models and inspiration! Inspirational as per usual. Will be nice to see them fight. 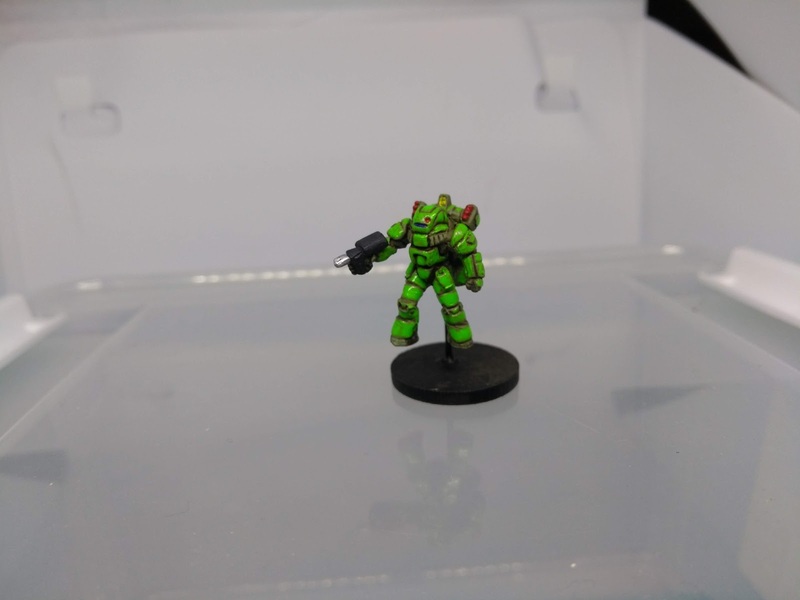 Cheers, I’m in the process of re-learning the Classic BattleTech rules as well as trying out the quicker Alpha Strike. When I have gotten far enough not to screw up too much I’ll have some fights to share! Time flies, as it is wont to do. 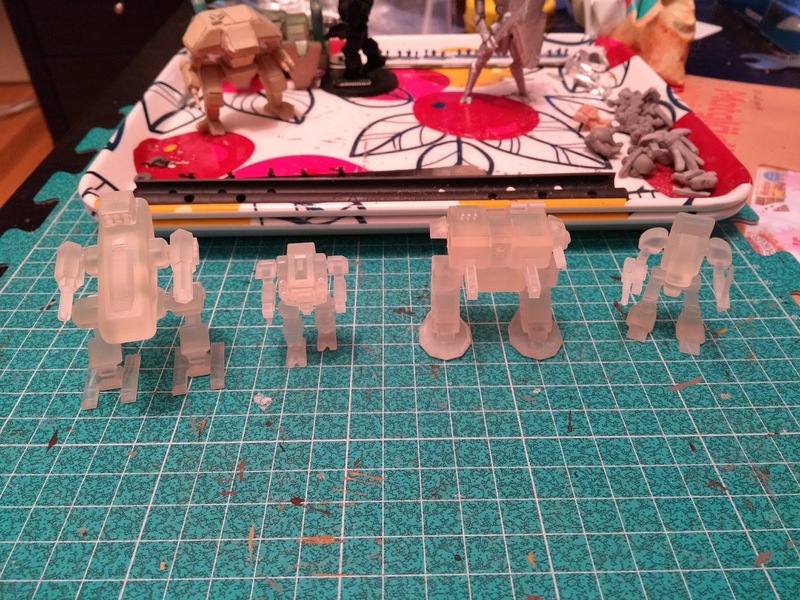 I picked up these Robotech tactics models as they are what is known as the “unseen” in Battletech, being the original mech models for certain designs. 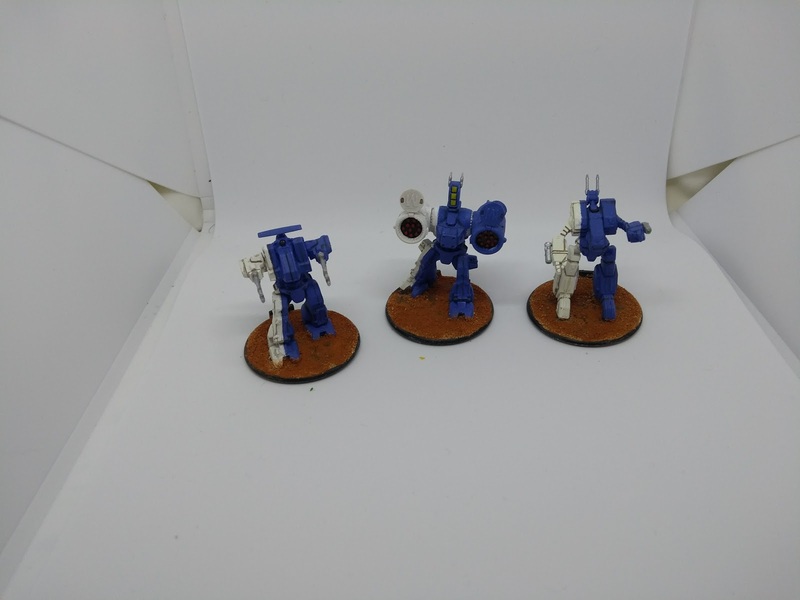 This trio belong to my Lyran Guard company. 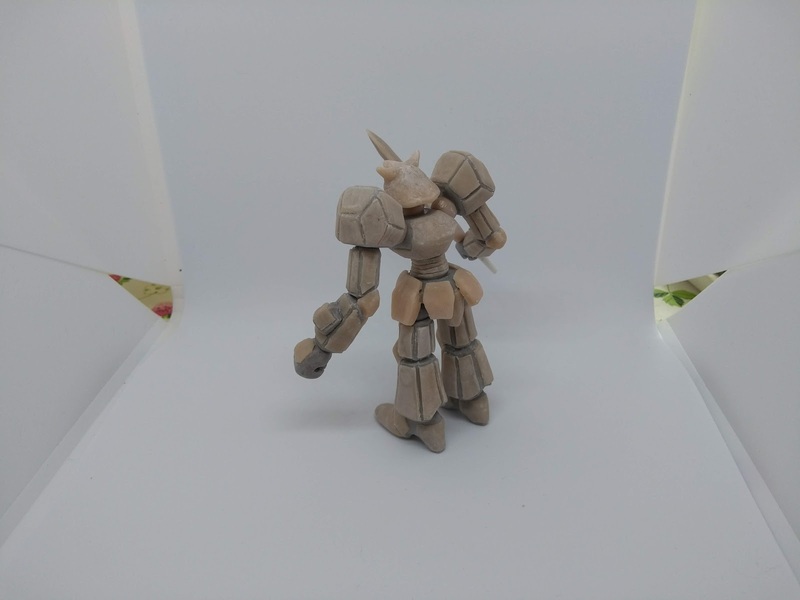 Longbow mech. 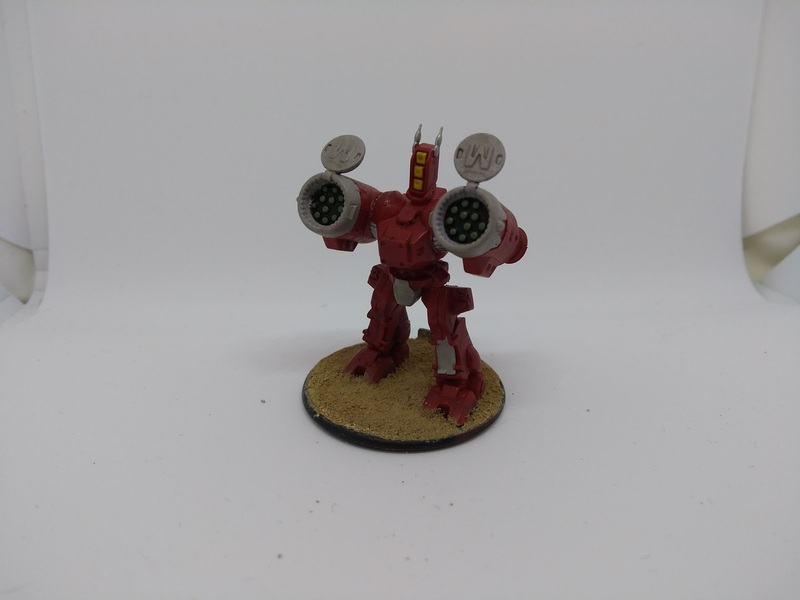 A long range artillery/fire support mech. 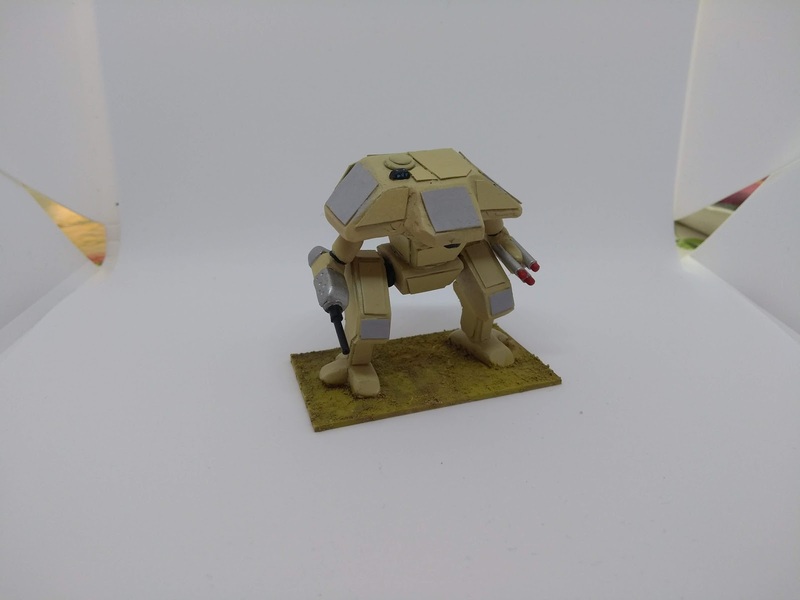 Archer heavy mech. Like the Longbow, the Archer carries a lot of long range missiles, I used some spare parts to make the lasers attached to the lower arms of the mech. 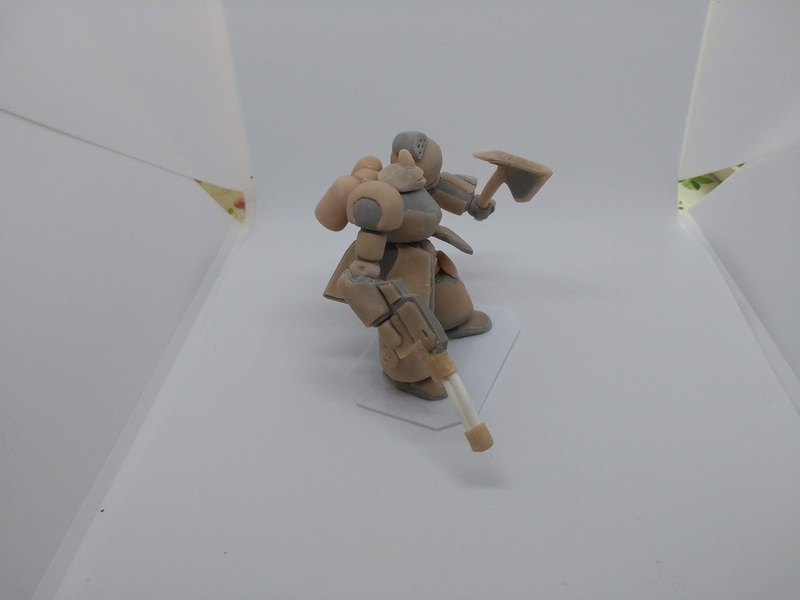 Lastly a Rifleman. 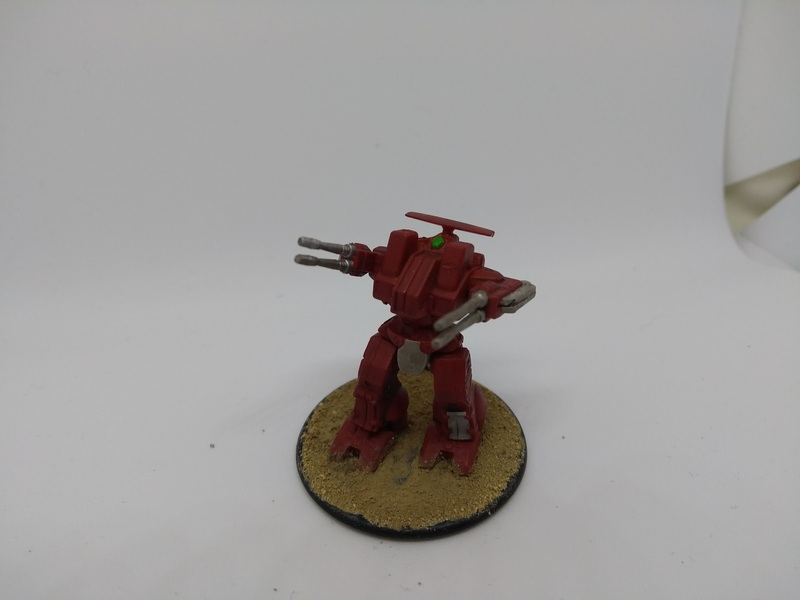 Usually carrying a pair of lasers and autocannons in each arm, these mechs usually provide direct fire support or work as snipers with the an alternate 2 Ac/2’s in each arm. 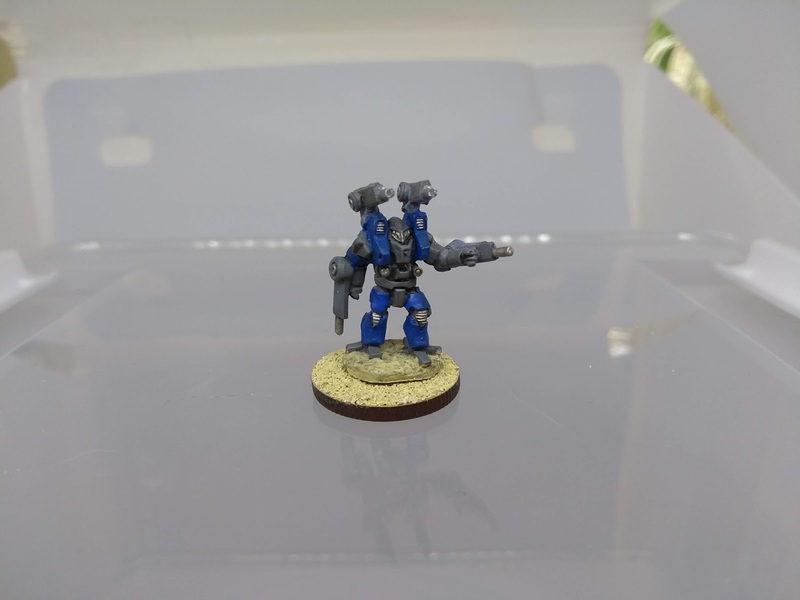 My Merc company also got a few new mechs, bringing them to a full company like the Lyrans. Both companies are quite high-tonnage, but I’ll probably add more lighter mechs to both sides with my next order or reinforcements. A Merc Archer. It’s identical to the Lyran one with the exeption of the open missile bay doors. Both the Rifleman and Longbow is also identical to their counterparts in the Guard. 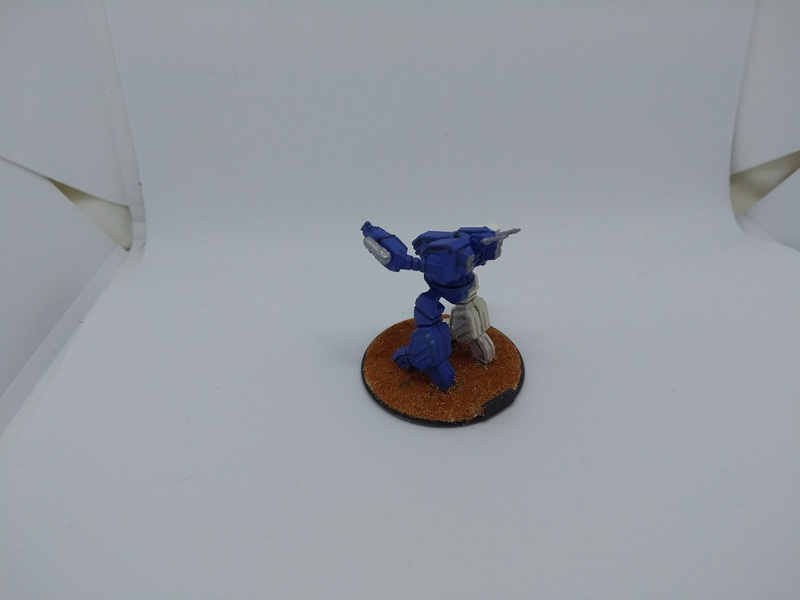 The last pair of mechs is the iconic Warhammer. I gave both to the Mercs because the Lyrans already have the two SWS Krieghammer versions of the Warhammer. This is one of my favorite mech designs. I have played a few 2 vs 2 fights using CBT rules, but given the time investment I will probably only use the original rules for engagements of 2-4 mechs per side. Even those matches can last 3 hours or so. I’ve been meaning to try out Alpha Strike for full company (12 vs 12) engagements and will hopefully get around to it. I’ve managed to pick up a side project to getting the Battlemechs of the 31st century ready for battle, but it’s not too dissimilar. This is the lower half of a giant stompy robot I’ve started working on. A handfull more are being planned, as is some large monstrosities for them to fight when they aren’t pummeling each other. I’ll share more as I manage to complete it! Woah. That sculpt is the bomb. What material is that you are using? I’m using super sculpey, it’s a type of polymer clay that you cure in the oven. I’m quite happy with this one, it still needs some GS here and there to fill up some gaps but otherwise it came out close to my vision. My plan is to have this big guy be the central giant stompy super mech for one of the factions if/when I do decide to use HW to fight almost OGRE-like battles, but with mechs instead of cybertanks. 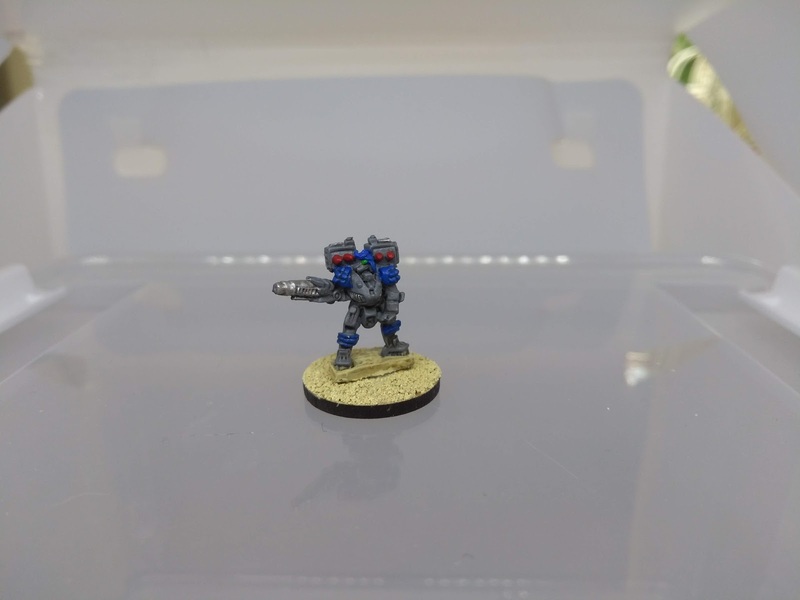 The little guy is one of the new USS mechs, standing just over 15mm tall to give you some sense of scale. This second one is complicated. On the one hand the more detailed armor-plating and such came out better than my first one, but I screwed up with the arms and shoulders. The arms got to be a bit too big, as well as the hands. I might try to dislodge the arms to remove the shoulder joints and see if that improves the overall look. 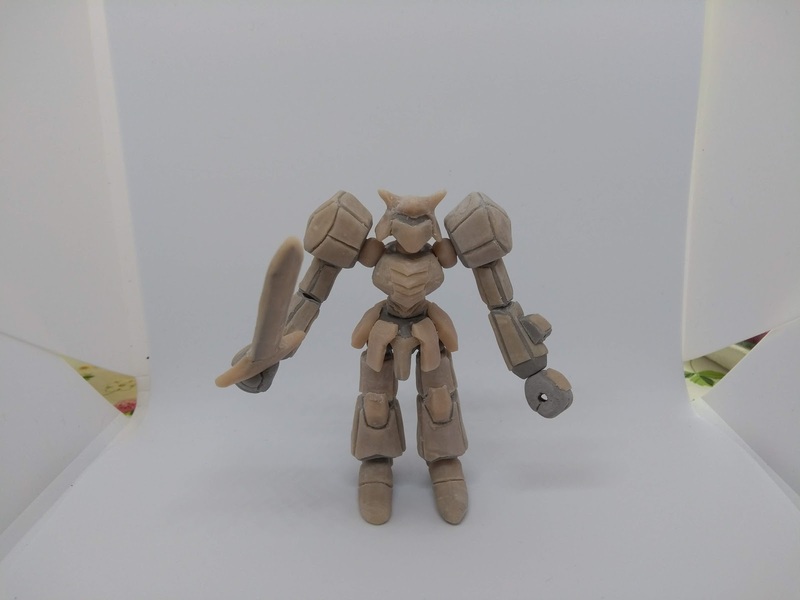 Otherwise I’ll probably scrap the arms and make a new pair, or a whole new mech. 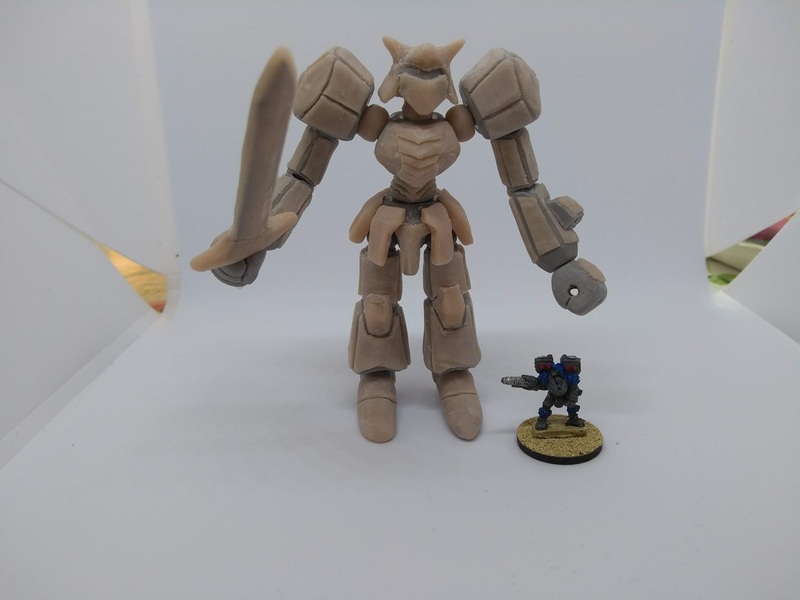 The same USS mech is again standing in for scale. Last of the GSR’s is a piece that has taken me quite a while to finish. It’s smaller than the other two, and mostly non-humanoid with hardpoints rather than arms and hands. 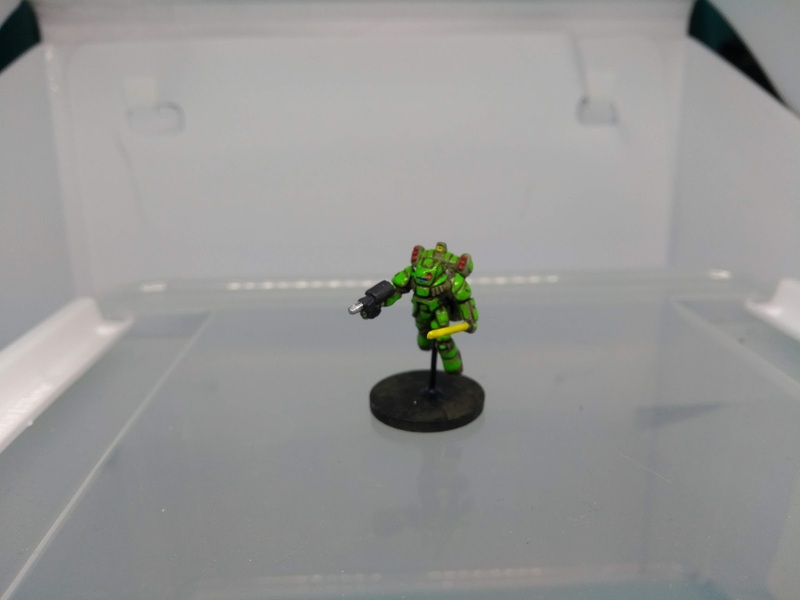 I have a second one in that I just started on, with a few additional options for weaponry and slightly different proportions. He will most likely belong to a faction that will employ several of these smaller mechs instead of a single larger one. 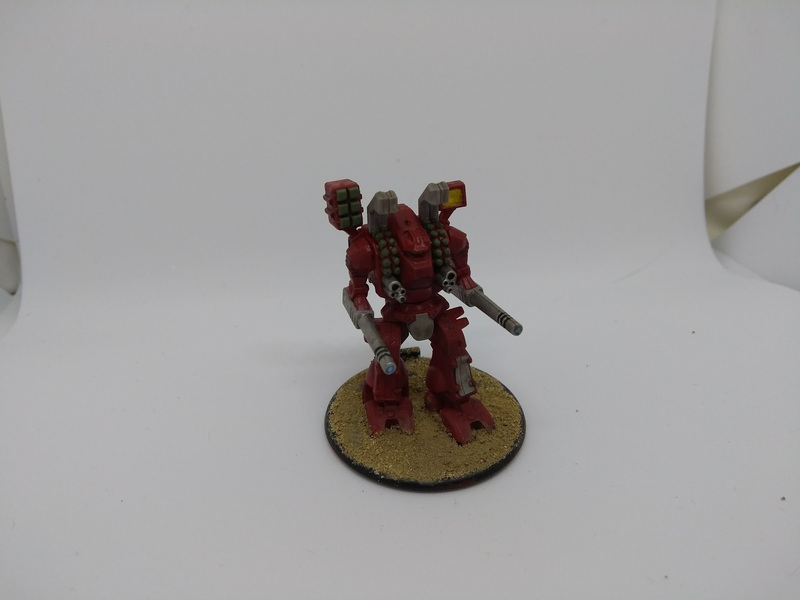 I also have a mech from alternative armies that might be a good stand-in if the second one doesn’t pan out post mod attempts. 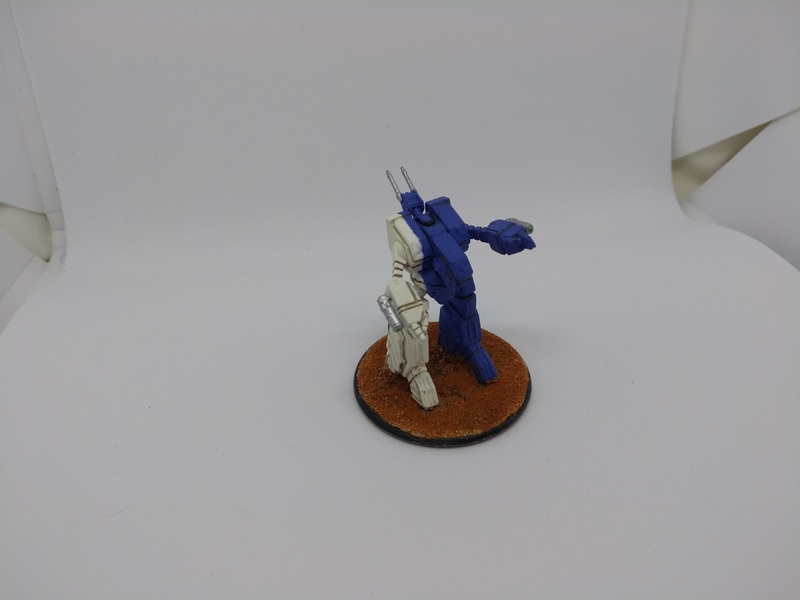 But now I have a few more pics of the new(ish) USS mechs. 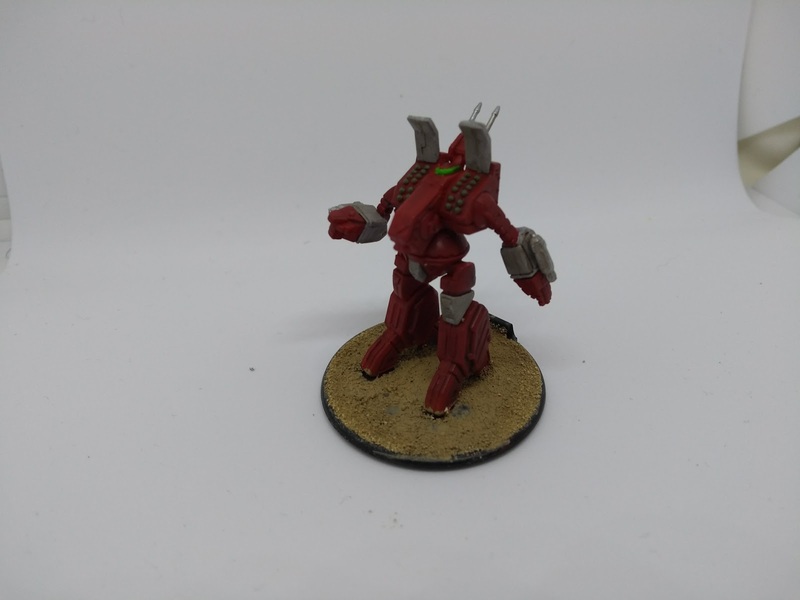 I finished most of the paint on these months ago, then I played around with a lot of Battlemechs and other mechs for a good while. When the idea of another campaign in the spirit of VOTOMS floated around my brain, I decided to finish up the last touches and basing for these guys too. If this campaign gets of the ground then most likely that will mean both NTC and NIJA will show up again as well as possibly even the mysterious Invaders! Equipped with massive jump-packs, these mechs are deceptively fast when they need to be. They can quickly close the gap and engage with their dual arm-mounted guns. 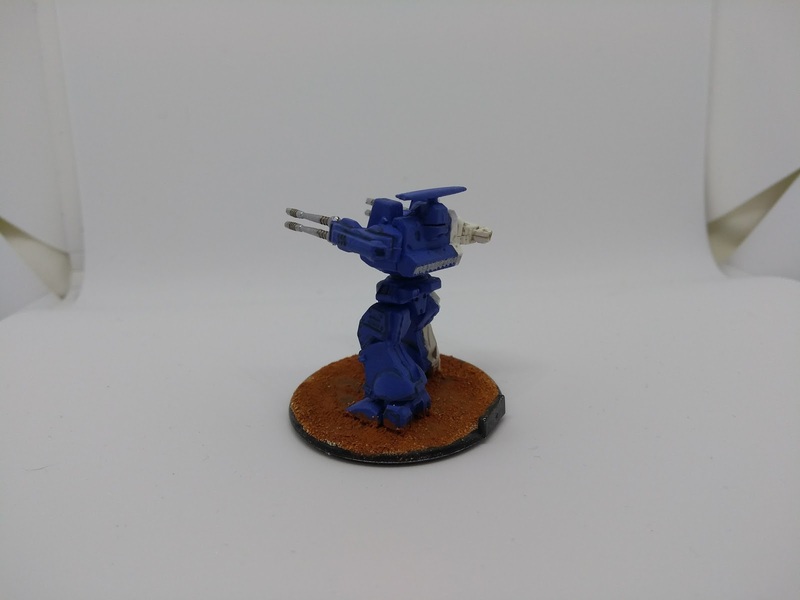 Armed with both missiles and an autocannon, these mecha can engage at both long and short range. 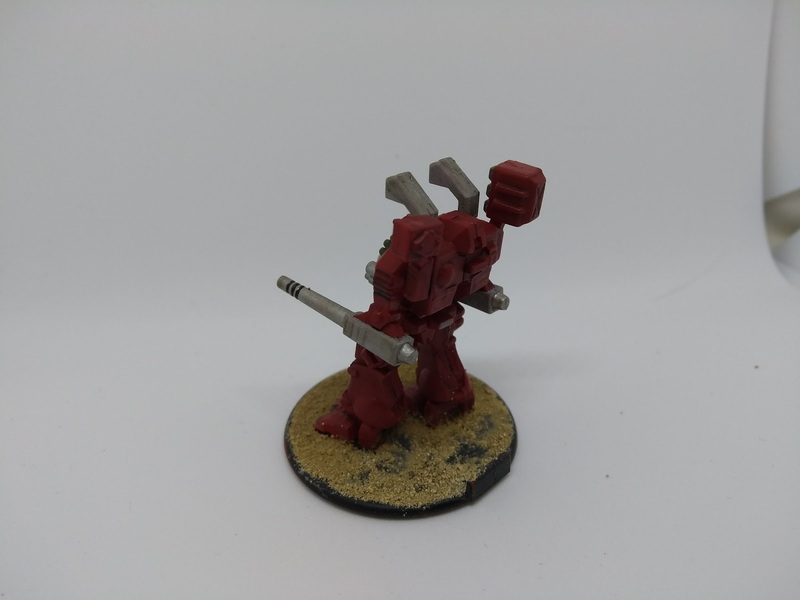 Slower than their counterparts, the last trio of mechs is dedicated fire-support. 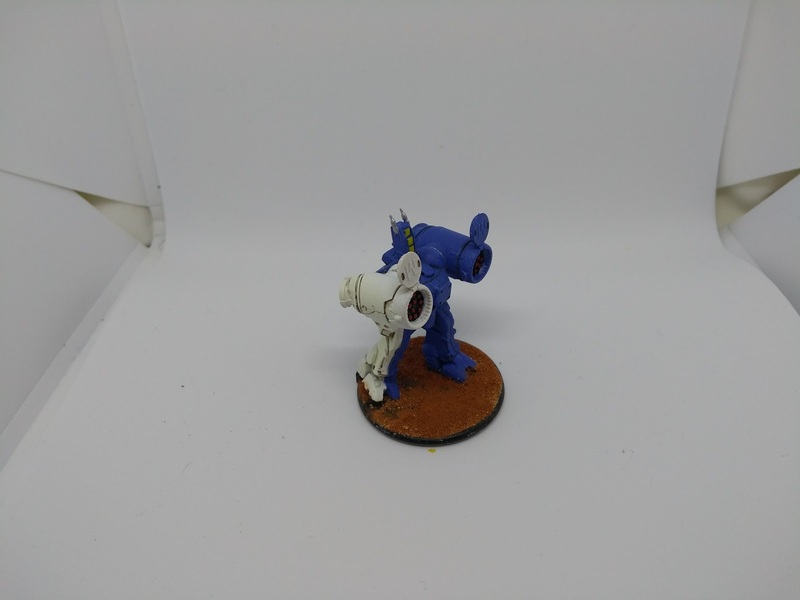 With their four cannons they can produce an impressive amount of fire and smart-rounds allow them to hit targets beyond line of sight if a friendly unit can provide targeting data. Is there anywhere I can read up on some of your world building? I forget tho the USS, NIJA, and NTC are. Do they fit into the same universe as your starport scum campaigns? Most of humanity lives in the huge Union of planets known simply as Unity. The massive bureacracy makes life easier for the common man, offering security and stability in exchange for compliance and the maintaining of the wast empire man. Decisions and change of pretty much anything is slow and lumbering, the bureaucrats endlessly debating and making inquiries sometimes for decades before being put to a vote. Representatives from each major core world makes up the council, the political elite from all across human space. Beside these official rulers of the galaxy, there are a number of Megacorporations that work with Unity. Most of these MegaCorps are really old, some tracing their lineage back to some of the ancient titans of industry before earth was the center of a galactic civilization. Fabulously wealthy and with huge political clout, they can and have influenced policy and decisionmaking in the council halls for a long time. This is not where the stories I tell take place however; Many citizens are disenchanted with the life in the galactic core and choose to take the colony ships to the fringe. Seeking fortune, fame of simply to get out from under the ever-present government, these people take a one way trip to what they hope is a better life. Space-travel isn’t cheap however, so those who can’t afford to pay their ticket might end up working off their debt on arrival. This is another reason why the MegaCorps get involved in the fringe, because of the masses of free labour they can “recruit”. The general lack of Unity presence and enforcement of the citizens rights makes the fringe very lucrative indeed. The Corporations and other interests have convinced Unity that the fringe is too big to keep under direct control, not to mentioned too expensive. Instead the council wrote into law a charter system, allowing private citizens and Corporations to buy the right to planets, moons or entire systems as long as they accept certain terms. Obviously they will be taxed by Unity for any resources exported, if the planetary body or bodies are habitable they might have to accept a certain number of colonists from the core etc. All these terms are of course negotiable and so the bigger corporations usually get the best deals. This is how the NIJ, USS and NTC was formed. The New Imperial Japan (NIJ) is a set of planets settled by various east asian groups during the second mass exodus from the core. While a very small precentage were actually from the region once known as japan, the Sanada MegaCorp was the primary sponsor of the settlements and therefore they chose the name. With a large number of debt-workers and a elite of businessmen, military and politicos from the core, the NIJ systems were quickly turning a profit. Their society is mostly free, with poverty, hunger and illiteracy being close to non-existant with the exeption of the few planets used to exile dissidents and criminals. Mostly democratic and with a large civil service the NIJ was an early success-story on the fringe, but soon found itself needing a strong military as pirates and less fortunate colonies tried to take the wealth of the young nation. With the backing of their founder/sponsor Sanada Corp, the New Imperial Japanese Army was soon formed and before long the NIJA was launching raids against the pirates and colonies in retaliation while their Corporate backer made sure that Unity didn’t mind the NIJA “expanding” on their original charter. Before long the NIJ and their armies were a major player on the fringe, their power increasing as they buy out more charters and expand even further. The United Strike Systems, or USS, is another of the major powers on the fringe. Unlike the NIJ, the USS took much longer to form, originally being several different colonies with individual charters for planets and moons that banded together for mutual protection. With the NTC and NIJ growing in power, the pirates and down-on-their-luck colonists searched for easier targets and they found it in the Strike system. After a few years of raids and lost outposts, the planets finally had enough. They made a temporary military alliance and implemented a general draft. After less than a year of hard fighting the raids started dropping significantly. With their success being clear, the alliance of USS was officially formed after only a few months. The original 4 colonies each have a represenative, with a highest ranking officer of the military high command holding the 5th position, making sure that there is never an deadlocked vote. The representatives don’t need to serve in the armed forces to be eligible to hold one of the 4 spots, but most of them elected into office have been. After the permanent establishment of the alliance, the general draft was dropped in favor of an all-volunteer force but tradition and substantial perks see lots of applications to the military every year. The Strike system isn’t as rich as some other charter system, but the hard life in the first years of the alliance bred hard fighters. This meant that the USS had another resource to bring to the enregulated markets of the fringe; Their fighters. Early on their military hired out instructors to train colonists to defend themselves and limited support for various corporations and colonies. As their success continued, their scope expanded until they became one of the premier armies for hire on the fringe. While they are less expansionist than some other fringe nations, the USS is known to buy up charters for resource-rich asteroids and celestial bodies, increasing their wealth. Finally the New Terran Comonwealth, the NTC. The Commonwealth is a bit of a rare thing, as it had no Corporate sponsorship or other large organization beind it as such. Rather it was a single family, The Knight’s. Arthur Knight, the patriarch, was a bit of a history buff. Having made a fortune speculating on the various markets available in the core worlds, he turned a modest income into a vast fortune. But something nagged at him. As he grew older, he felt increasingly claustrophobic in the core worlds, moving several times, ever closer to the fringe as he kept growing his fortune. Eventually he had an idea. He spent weeks pouring over charters and surveys posted on the fringe, searching for something he couldn’t quite put his finger on. And then he found it. It was a habitable planet, 3 times the size of the earth, in a system with several rocky planets and gas giants. Here he could make a new earth, avoiding the mistakes of his forefathers. So Arthur Knight spent half his fortune and another 10 years aquiring the charter with beneficial conditions, recruiting the neccessary specialists and buying all the supplies and hardware needed for the long journey. Knight’s NTC was founded with an elected lord governor as its highest leader, being answerable to a parliament of elected officals. Technocractic ideals are a big part of Knight’s vision and elected officials are required to be knowlegable in general and in their selected field in particular. Education and knowledge is highly valued in the Commonwealth and many basic functions are automated, giving the general population a higher level of education and wealth than many of it’s competing colonies. This obviously creates jealousy among the neighbours who saw the NTC’s star rise high while they still struggled. Knight’s solution to the question of defence was to establish a mandatory military service for all citizens to make sure they could defend their numerically smaller colonies against pirates and other aggressors. He also begrudgeingly bought the licence rights to produce certain weapons of war, including the Sanada MegaCorp’s bipedal weapons that gave the NTC their Warrior class mecha. The Commonwealth is very conservative in its aquisition of new charters, prefering to upgrade the production of the in-system resources to expansion, even if they have been known to grab especially lucrative charters when they have the chance. They are not isolationists or simpletons after all.. Most of my 6mm sci-fi campaigns happen in the same world, my own modified version of the fringe background from Ivan of NWG. In it the USS, NIJA and NTC all occupy different parts of the outer reaches of human space, with the core systems controlled by the galactic behemoth of a government known as Unity. I rarely touch upon the core in my campaigns, it’s a faraway place for most on the fringe more akin to a legend rather than a real place in their minds. That being said, in the rare instances that Unity does comes knocking, their intervention is always accepted by all major parties since the ones that didn’t in the past were simply trampled underfoot by Unity’s mighty boot. So TL;DR; Yes, they all inhabit the same universe, even if my Starport Scum characters seldom run across these major players on the fringe. Thanks for the write up. Having read enough stories in your world I really wanted to put the pieces together. I had assumed USS was the American space empire or something. I an just in a situation where I have painted many different factions and am running out of ways to squeeze them into what my original vision was. I will be having a rethink and you have inspired me. I want space nations/empires based on Earth nations, but I don’t want Earth to feature. In my universe Earth has been quarantined, devastated by chemical warfare. But then I don’t know if I will keep that. Thanks for the lore. No problem 🙂 The name is a bit unfortunate in that sense, but no US space empire. I came up against that same problem some time back, but the great thing about space and sci-fi is that the galaxy (or galaxies/dimensions) are vast, so much so that you could keep expanding different factions for as long as you like without “running out of space” so to speak. Also, progressing your narrative and having some factions join forces or be relegated to a less prominent position is a good way to keep your universe from feeling too cramped with all the major powers throwing their weight around and fortunes rising and falling respectively. That is a nice and quite plausible idea, sort of nations-in-exile from the now destroyed earth. I like it! What you say makes a lot of sense. I have been having new ideas all night long. This might make a nice thread where we discuss our various worlds and inspirations. I would like that, we could start a brainstorming worldbuilding thread! I’d love to have a quick background for your world and then maybe we could go from there? Did someone say “collaborative world building” ? Seems I have a bit of catching up to. Nice sculpting there mate, those look colossal! I’ve often thought about having a dabble a sculpting something. But I know there is an ameba on Saturn that can sculpt a better mech then me. 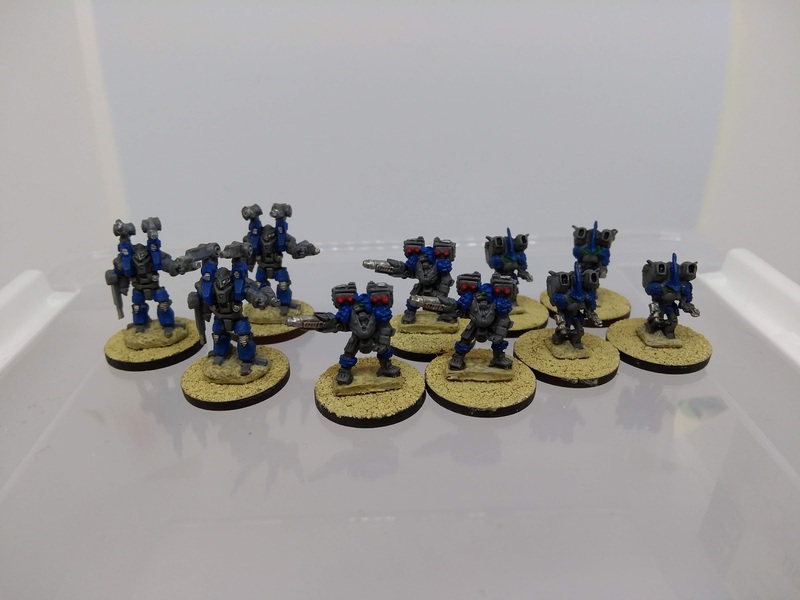 Are you still going to use Battletech rules for them? Or going to try adapting Starport Scum? I’m not familiar with Battletech at all, never tried it. Bet these will dominate any game. Thanks, they are somewhat titanic compared to most of my other mechs.. Don’t sell yourself short Greg, I am by no means anything but an amature, but you do get better as you practice! For a couple of weeks I managed to do little at all in terms of hobby. After building a few Gundam model kits and watching a bunch of anime, I was inspired to revisit anime-style mecha gaming. 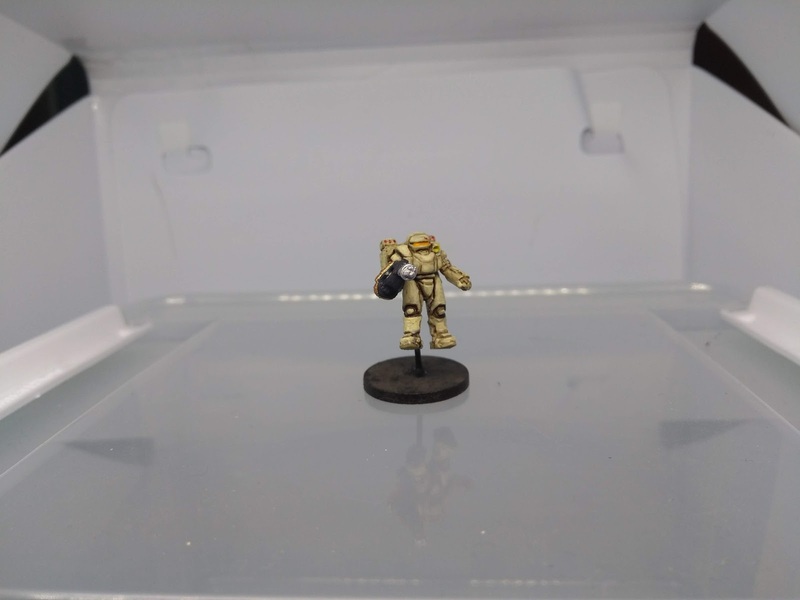 I got a few sets of power armor from GZG during salute and I realized that they could fit the bill. 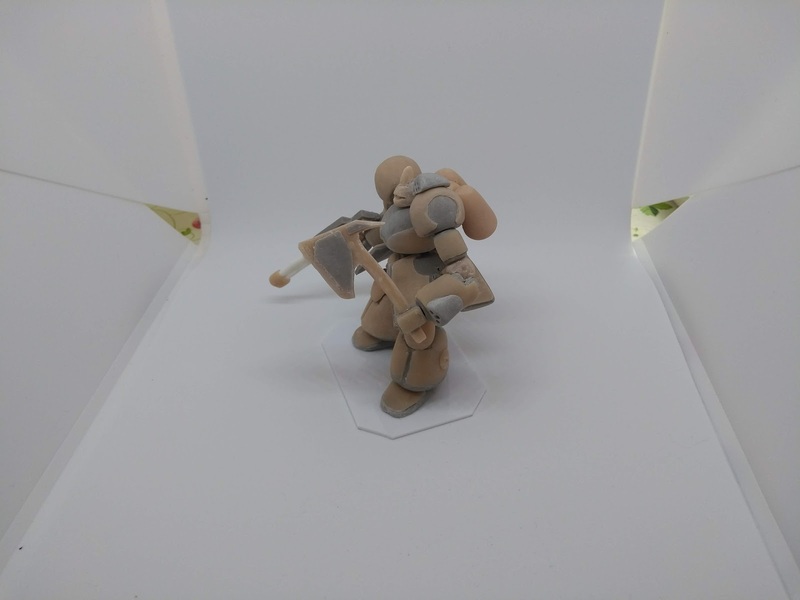 I decided to cut the bases off the models and re-pose them a bit to make them feel more dynamic. I have yet to decide on the exact details of the setting, but I’ll get to that in a future post. Horizon Wars is the most likely candidate for playing these games, with some house rules to tweak the feeling appropriately. I hope to have some terrain ready in a few days, and perhaps a quick background for the setting. Oh now there’s an interesting idea! I admire your drive. The running pose looks really good as space mecha. I like the color scheme of both, very nice painting. Thanks Thomaston, I am quite pleased with the altered poses. The next step will likely be building some custom weapons and armor mods for another set of suits. I would like to figure some sort of transport ship for each side as well, mostly to serve as scenario pieces and objectives. Glad to see the stompyness is back. 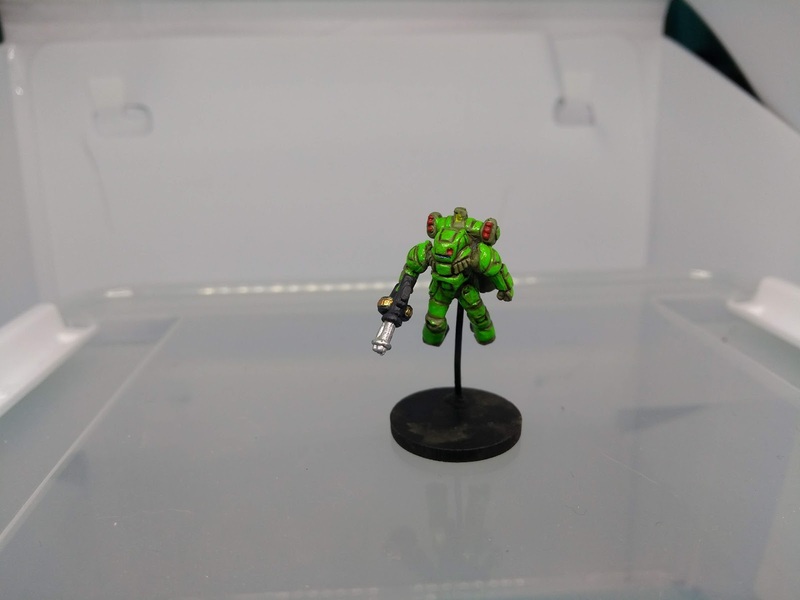 Nice minis, you’ve really captured the hover/jet pack feel to them. Re-posing them took some work but it paid off I think!